Golden Dorado are extraordinary hunters and are regarded as one of the best fighting freshwater fish on the planet. They’re aggressive with a ferocious strike, long, hard runs, high jumps, and fighting stamina. The locals call them River Tigers. They like moving water, and most often stalk close to river structure. 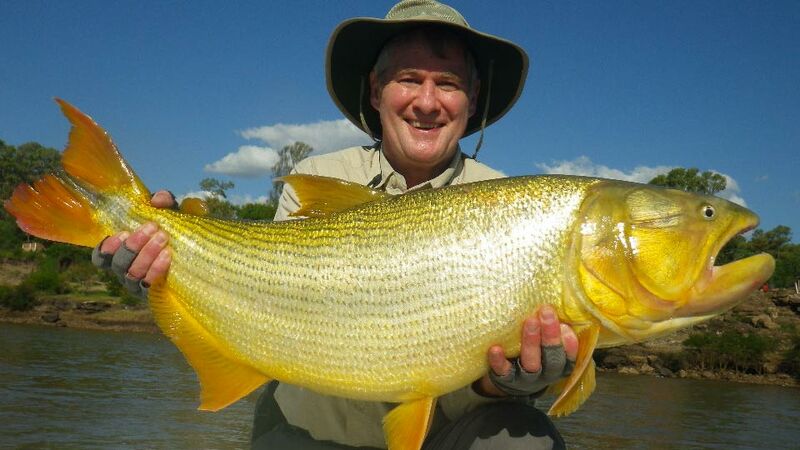 Our client Mike Sadar set a world record at La Zona Lodge for a fly-caught 50-pound golden dorado. Scroll down to see Mike Sadar's La Zona Recap. 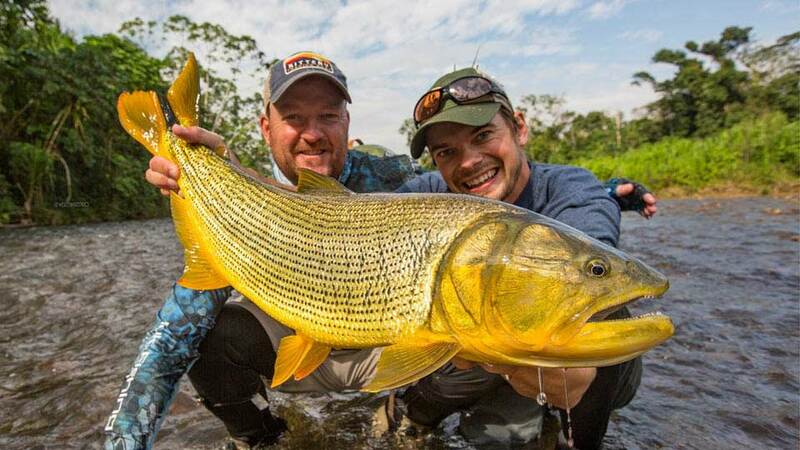 Fly and spin fishing for golden dorado. Dorado Cua Lodge is located in the heart of the Isoro’ marshland area, 400 miles north of Buenos Aires in the province of Corrientes. Birding and wildlife viewing opportunities. 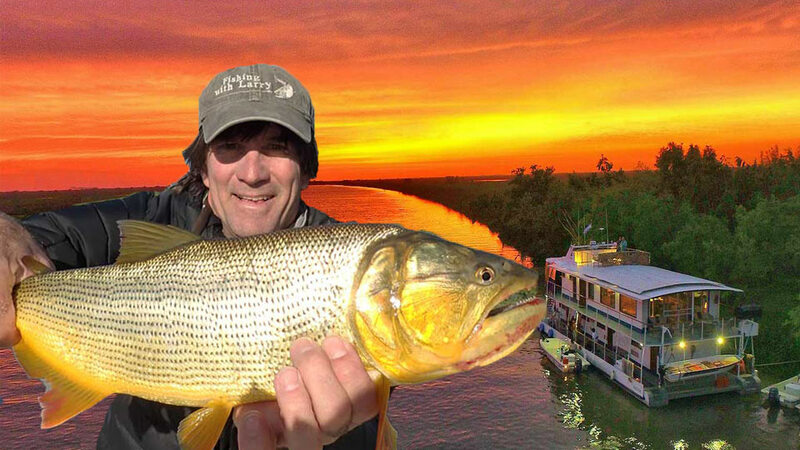 Within a few hours of Buenos Aires, this Golden Dorado River liveaboard adventure accesses some of the best dorado fishing on the upper delta of the Paraná River system. See our 2019 and 2020 Hosted Weeks. Fly fishing or lures. 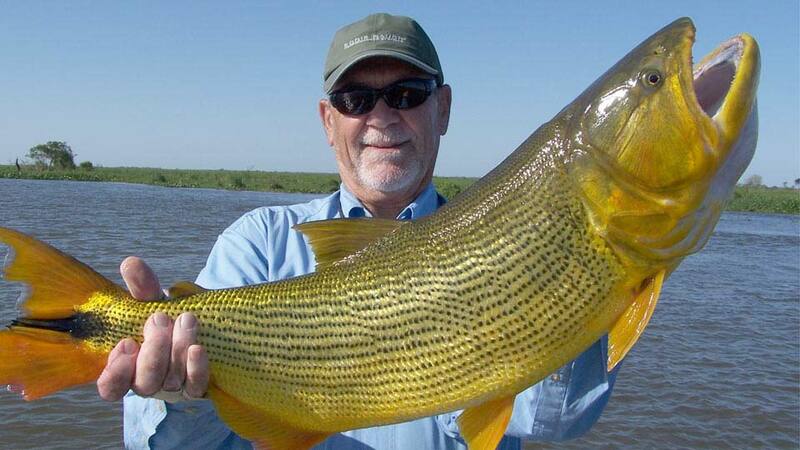 La Zona golden dorado fishing is unrivaled in the world and is home to over 12 fly-fishing world records. La Zona is the exclusive area on the Uruguay River, downstream from Salto Grande Dam. Our client, Mike Sadar, set a world record here. Remote fly-fishing-only camp hosts only six anglers per week. The Casaré River is nestled in the meeting point between the Bolivian Amazon and the eastern slopes of the Andes Mountains of Bolivia. Remote fly-fishing jungle adventure. 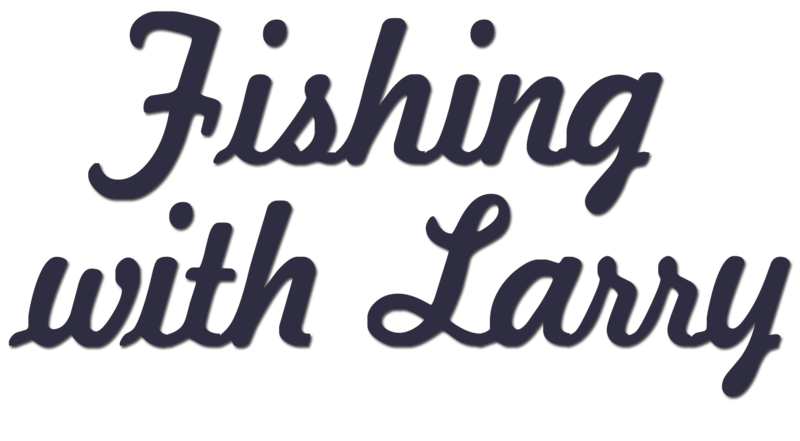 The camp is limited to four anglers per week. 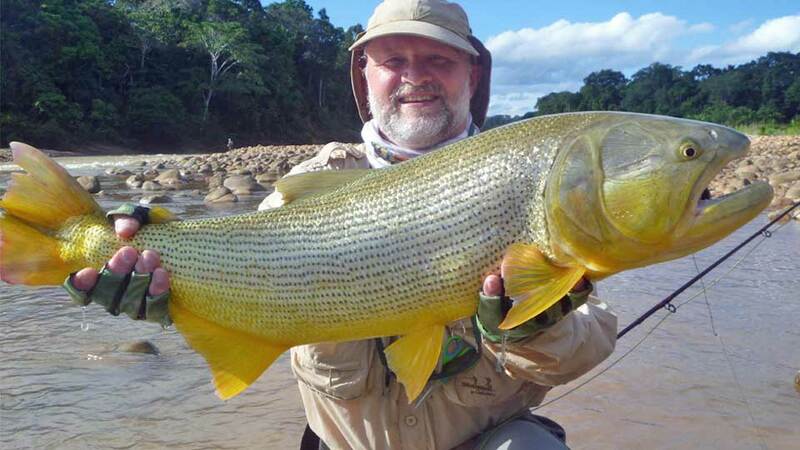 You'll travel up the headwaters of the Casaré River with local and professional guides in search of golden dorado. Fly fishing only. Tsimane is home to some of the most amazing, untouched rivers of the world. Sightcast freestone mountain rivers for two dorado species, pirapitinga, and pacú. Stay at Pluma, Secure, and Agua Negra Lodges. 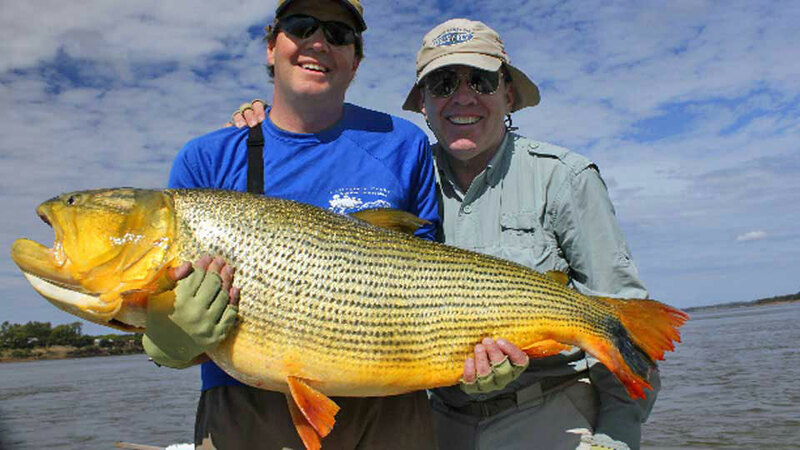 In 2012, our client Mike Sadar landed a world record fly-caught 50-pound golden dorado. Here, is his La Zona recap for his subsequent trip in 2015. 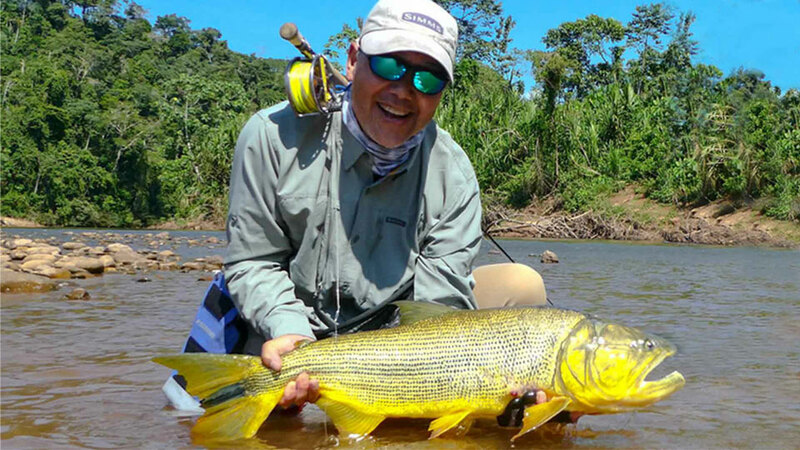 Mike's Golden Dorado Pledge: "I, Mike Sadar, will do my very best to fish for this species at least once per year, until the day I die."